Yes, kale is on the menu today! I have to be honest with you guys I haven’t always been a fan of kale. I found it really overpowering and gross lol. But, over the past years, I have learned to make some really yummy salads that everyone in my family loves. So I am hoping that you will fall in love with kale too! 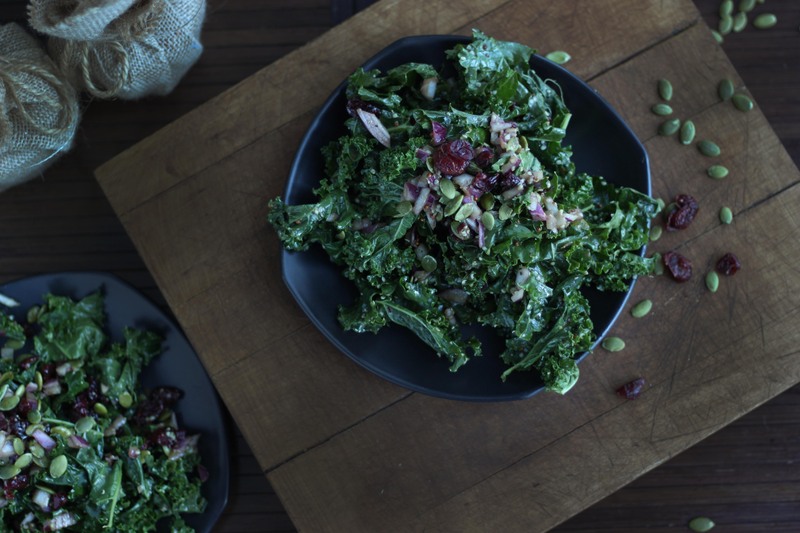 Here are my tips to really make your kale salad scream, “EAT ME”. Make sure that you use apple cider vinegar. Not only will your body thank you for all the amazing benefits of this little gem. But it also gives the leaves the acidity it needs to help break down the toughness of the kale. Always remove the kale stems. Yup don’t get caught eating a huge stem. Yuk. Just take off those nice soft leaves and rip them off the stems. You can keep the stems for juicing or for soup broth. Keep your kale cool. If not kept cold it will wilt and become bitter. If you are new to kale you can try baby kale. It is a lot sweeter than the full-size kale. I usually pair the bitter of the kale with something sweet to balance the flavors. If I don’t have you convinced yet here is what it will do to benefit your body, your temple, your home. Kale is the best-known cancer-fighting vegetables on the planet. It contains an abundance of lutein, a phytochemical that scientists think may be more protective against cancer than beta-carotene. The calcium in kale is more absorbable in the body than the calcium cow milk. Because of its calcium content and absorption rates, it is known to help protect the body from osteoporosis, arthritis, and bone loss. Wash your kale and dry off. Take leaves off stems and rip into small pieces and place in salad bowl. Chop onions. I chopped them into very small pieces. 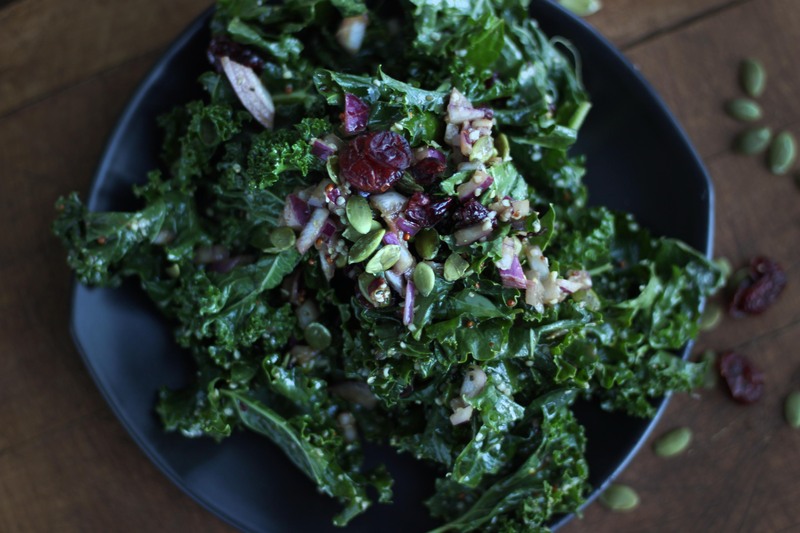 Add onions, seeds, and cranberries to kale. Set aside. Add olive oil, apple cider, raspberry balsamic, mustard garlic, stevia, salt and pepper into a salad dressing bottle. Pour over kale and mix.